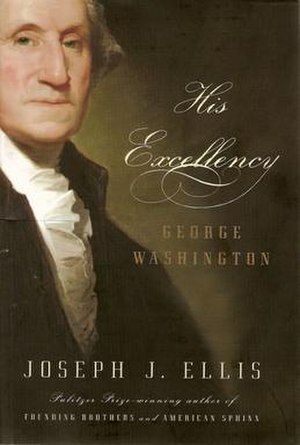 While on vacation, I read (via audio book) Jonathan Ellis’ biography His Excellency, George Washington. I confess that I really didn’t have much interest in George Washington; it was simply one of the better audiobooks available at the Duluth Public Library – and I was going on a long trip. I thoroughly enjoyed – and benefited from – this book. Ellis doesn’t merely describe the deeds of the first president – he works hard to really understand the man. Famous for his silences and private with his thoughts, Washington did not make it easy for biographers. Ellis is careful to provide the data from which he is working, and then to present his understanding. The biography stands out, too for its attention to connecting the dots. When considering why Washington did something later in his life, Ellis goes back to earlier events: what might he have learned from them? Would they give him confidence – or anxiety – about one course of action over another? How had they formed his character? It is Ellis’ ability to capture the uncertainty of the first years of the American nation that made this book particularly valuable. Viewed in hindsight, it looks as though the patriots of 1776 had a plan that unfolded with just a few glitches. Washington had just one of many sometimes conflicting ideas of what the American colonies were seeking, and what the final result would be. It would not even be accurate to say they were building a nation on a new model: there was no model, just a variety of principles. The true greatness of Washington comes through in many ways: a general who truly realized the tremendous sacrifices and suffering of his troops, a leader who was able both to set aside the reins of power when it was called for and also to recognize when his skills and persona were needed. It’s not clear whether the United States would have survived the many political shenanigans of the early years without Washington’s stature, sense of service, and stability. If the only Washington you know is the sainted public servant, it’s well worth the time to find out about the man behind the portrait.